Cooking hot dogs and bratwursts can be a difficult experience without a pair of tongs, leading to lost sausages and frankfurters in the bellows of your grill. Never lose another wiener to your charcoal with these sure-grip, stainless steel tongs from Bull Grills. 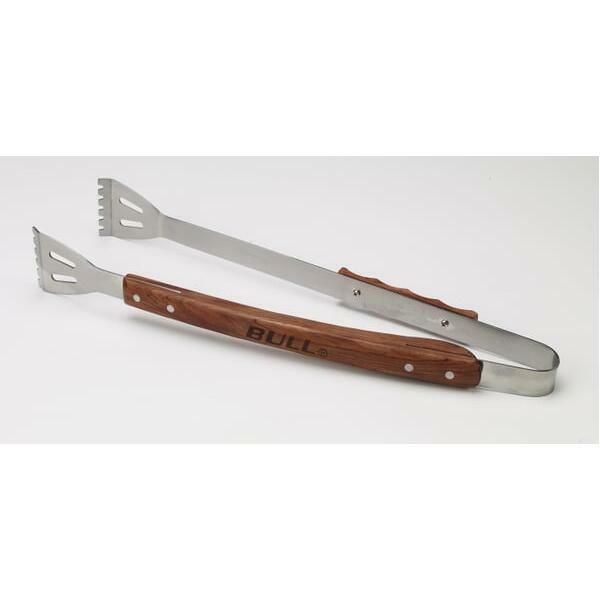 The Stainless Steel Tongs grill accessory features a rosewood handle that's contoured for an easy grip, and is extra-long in length to extend reach and protect hands.